Last year I spent $848.80 going to PAX East. I know this because I just did my 2013 taxes. That's $300.10 for a flight from Austin to Boston and $548.70 for a hotel room. But venture beyond airfare and accommodation - into the forest of lost receipts - and it's another story. Add in food, drinks with colleagues, intercity transportation and other incidentals and I spent more like $1,100-1,200. Overall, that was worth it. I spoke on a panel, developed contacts, saw friends and - just as important when you're spending that much out of pocket - I had fun. But it begs the question: is PAX really worth the expense? What Does It Cost to Attend PAX? A three-day PAX East badge will run you $75, while Prime badges are $95 for four days. That's a great value proposition, since $25 a day buys access to the stunning array of panels, demos and previews, shopping areas, celebrity appearances, LAN deathmatches, tournaments, live music and people-watching that PAX delivers. And don't forget the after-hours partying, both official and unofficial. You can't ask for a better return on investment for the badge itself. If you're attending locally, with the badge being your biggest expense, there's no question whether PAX is worth it-but the equation changes when you add in travel and accommodation. Travel costs, of course, vary considerably depending on where you live. If you're able to take a bus, a commuter train or drive to PAX, you could probably keep travel under $100. But everyone outside the immediate area needs to tangle with airfare. To estimate how much people spend on flights to PAX, I conducted an informal poll among my freelancer colleagues. Not only did this give me hard numbers (from people who track expenses), but looking at tickets people actually bought calculated in some realistic human error like buying a ticket too late or taking a pricier flight that fits within someone's work schedule. It's admittedly unscientific, but provides a rough estimate. The lowest airfare in my sample set was $230 (from Milwaukee to Seattle) and the highest was $720 (Raleigh-Durham to Seattle). The people that paid in the $400-700 range overwhelmingly lived either in the middle of the country, on the opposite coast or in a city that didn't offer direct flights. In all, the average cost of airfare to PAX East was around $375, while the average for Prime was $416. Given this data set, let's say most people who fly pay around $300 on the low end vs. $600 on the high end. Hotels are thankfully a little easier to estimate, since everyone works off the same price. I paid about $180 a night at the last PAX East, though that was due to the fact that all the cheaper hotels were already full - though a search on Hotels.com reveals that even if I booked now for PAX Prime, I couldn't get better than $118 a night for a room within walking distance. But let's split the difference and say that an average hotel will cost you $150 a night (most go for $160+). So for three nights at East we're talking $450, or $600 if you hit all four days at Prime. Then there are all the incidentals. Food and drink will probably cost about $100-120 depending on how many days you stay. (Alcohol can and does inflate this expense). Add at least $25 for cabs and mass transportation and a few dollars here and there to participate in sealed deck tournaments. And then there's shopping, which is another wildcard - I don't shop at all, but I've seen others spend $50-100 on that alone. To be conservative, let's peg miscellaneous meal and entertainment costs at $150 for the weekend, plus $50 if you shop. Total that up and you get about $725 to attend three days of PAX East  and $895 for four days of Prime. Add $300-600 for a flight, and you're talking on the low end about $1,025 for PAX East and $1,195 for PAX Prime - though with a pricier flight it could easily be as much as $1,325 for East and $1,495 for Prime. And keep in mind there's an economic cost to burning vacation days or giving up hourly wages to be there - unless you do as I always did, and put in overtime before you leave. If you're attending PAX as press or an exhibitor, well, you've just gotta do it - but for a simple attendee who's there for the entertainment, that's by no means a cheap vacation. 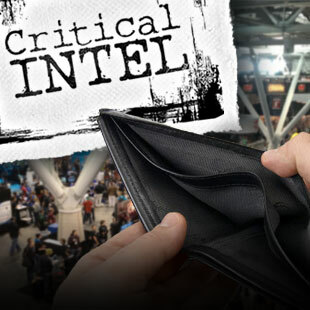 There are, of course, tactics that make PAX more affordable. And speaking of badges, there are ways to get in for free. Some people put together a panel so they can attend as a speaker. Others volunteer as Enforcers or come as press - though trust me, even though they're fun, those options aren't anyone's idea of a relaxing vacation. For small expenses, it's mostly moving numbers around - don't shop and you have more beer money, or don't drink and you can buy more stuff. Share cabs, fill your schedule with free events and RSVP to parties with complementary food and drinks. But beware of unnecessary nickel-and-diming: if you're paying to get there, you might as well spend $50 extra and have a good time. Badge $75; three nights' hotel $450; shopping $50; food/entertainment $150. Badge $95; three nights hotel $600; shopping $50; food/entertainment $150.